(LWI) - “Do you want to go down to the river?” Not everywhere in the world, saying yes to this question means you’ll actually get to see water. As World Water day is marked around the world today, 22 March, we feature The Lutheran World Federation (LWF) work in Ethiopia’s Oromia regional state, where pastoral communities pushed out of their homes by severe recurring drought and ethnic conflict now have access to short and long-term water sources. 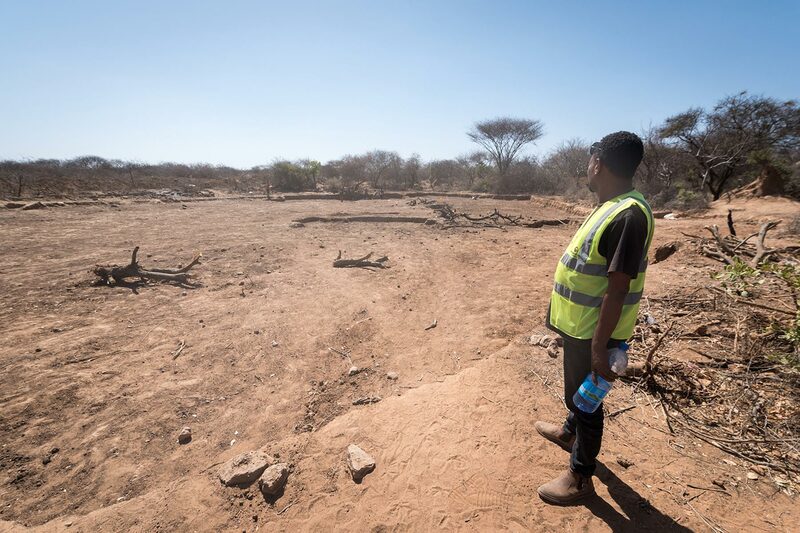 Close to the border with the Somali regional state, the LWF country program provides short and long-term water sources for internally displaced people (IDPs) and livestock in an area where many rivers have dried up as a result of prolonged periods of drought. Twenty-year-old Amina holds her one-year-old child in the shade of a tree at the Burka Dare IDP site in Seweyna. 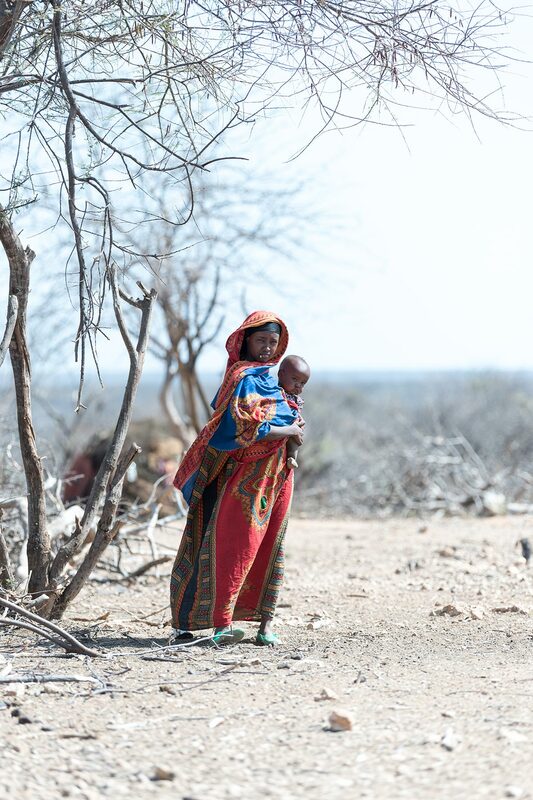 Amina is among many who have had to seek safer lands, as the Oromo-Somali ethnic tensions push people on both sides away from what they knew as home. 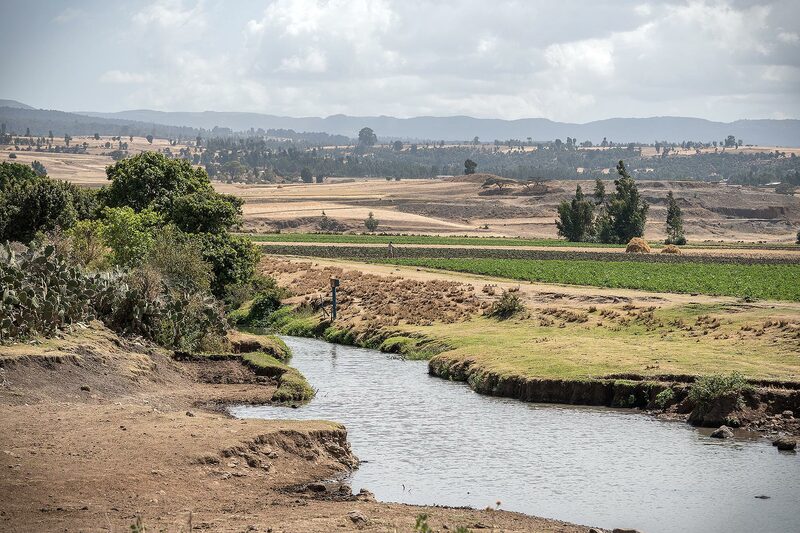 In an effort to reduce communities’ vulnerability to drought, the LWF oversees the construction of three 10,000-cubic-meter ponds in the area, with support from the Ethiopia Humanitarian Fund and the United Nations Office for the Coordination of Humanitarian Affairs. Once rain has come and gone, the ponds will provide a last resort for water through the driest periods of the year. 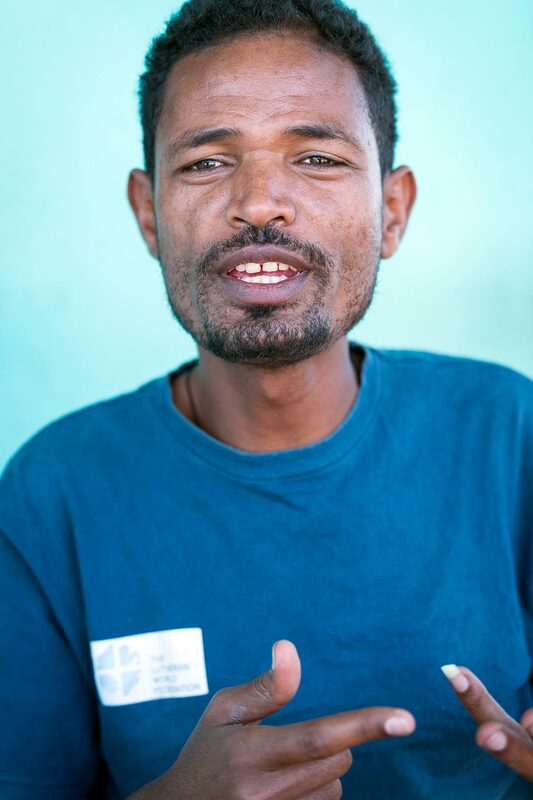 Tefera Hailu is an LWF emergency team leader in Bale Zone, where the LWF country has been present since the 1970s, offering emergency and long-term support for water, sanitation and hygiene as well as development and economic empowerment projects. 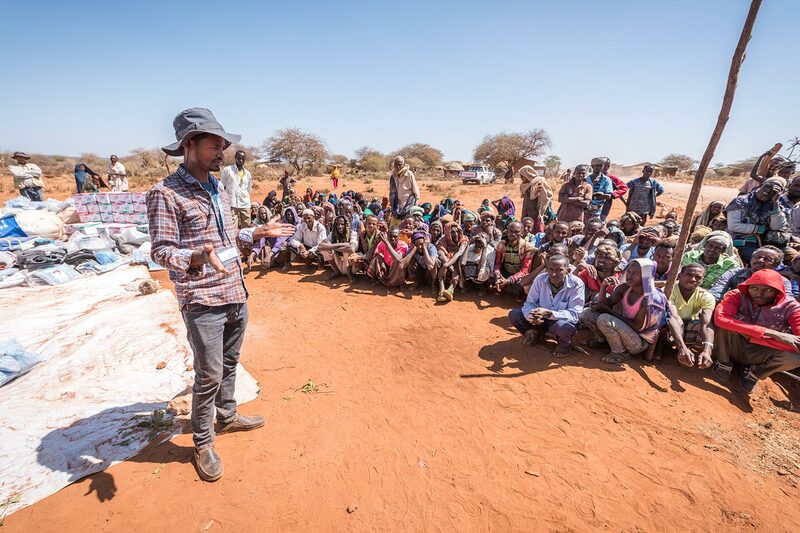 He tells the story of a pond construction in the border area between the Oromia and the Somali regions, near Bekeksa, where the LWF supports nearly 40,000 IDPs. The pond was built seven years ago, as part of a drought preparedness and recovery project. Today, it is known as ‘the Pond of Peace’, as it is used by groups from both ethnic groups in the area. In Seweyna too, LWF projects are producing ripple effects. 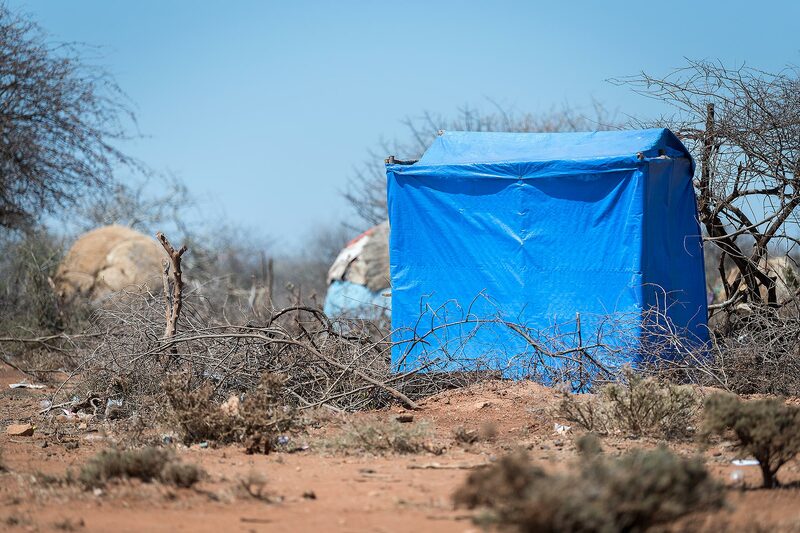 At the Wada IDP site, the LWF has constructed emergency latrines to improve hygiene and sanitation. This one, however, has been built and fully maintained by the community members themselves, after learning the benefits of sound sanitation practices. 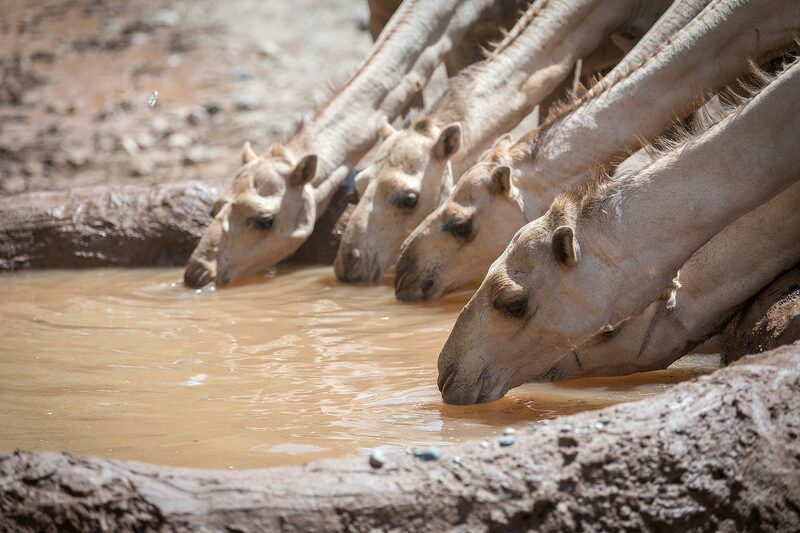 In the otherwise dry river at Burka Dare, the community has built a cattle trough to salvage low-percolating water from deep inside the sandy riverbed, helping to sustain one of the pastoralist community's key assets, their livestock. And in Adaba, one of the LWF’s earliest interventions in Ethiopia, dating back to the 1970s, is still bearing fruit. 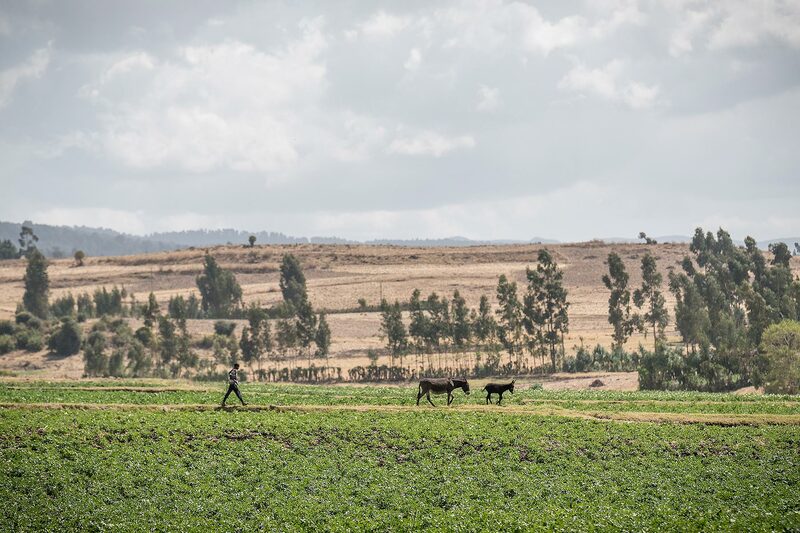 Through soil conservation and irrigation systems, the project has helped farmers grow potatoes and vegetables in the area. And, while the LWF project has long-since concluded, the site remains a vital resource for farmers in the area.